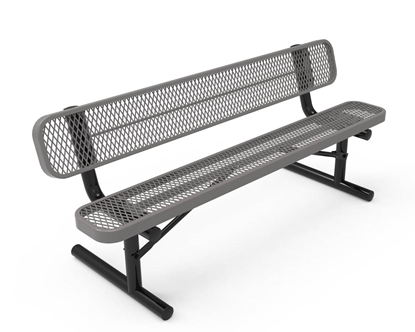 RHINO contoured benches have a curved seat and arms that provide comfort and style. 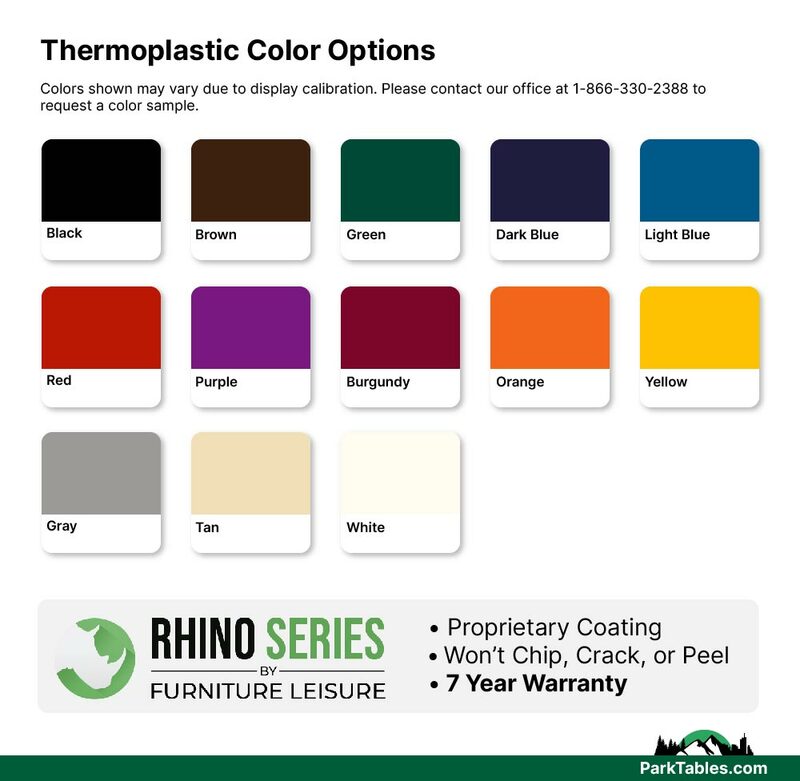 Features an innovative coating like nothing else in the market today, this RHINO bench is impervious to scratches, stains, and mildew. 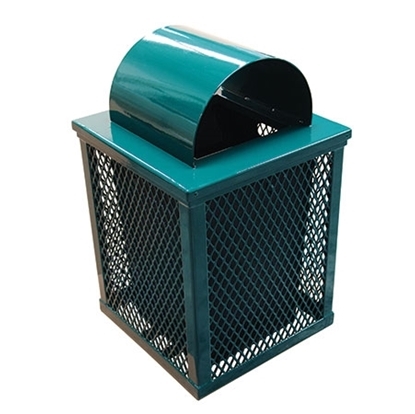 Made with 3/4" expanded metal with a thick glossy coating and a durable powder coated 2-3/8" frame. 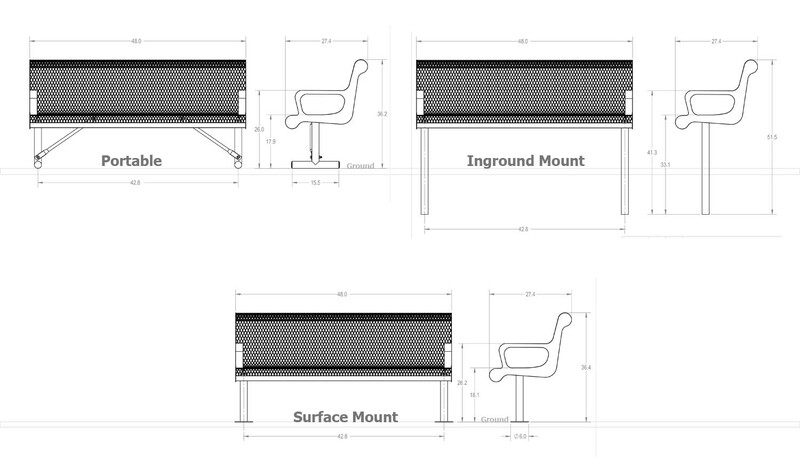 The legs are available in a variety of mounting options. Choose from inground, surface mount, or portable to best fit your location. 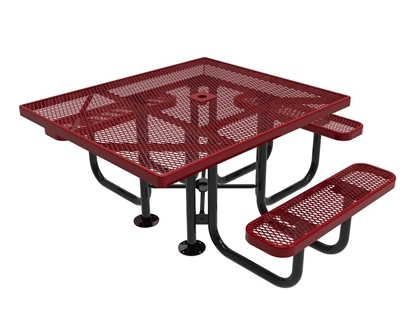 Our commercial benches are vandal resistant and made to last with 24/7 outdoor exposure for years. 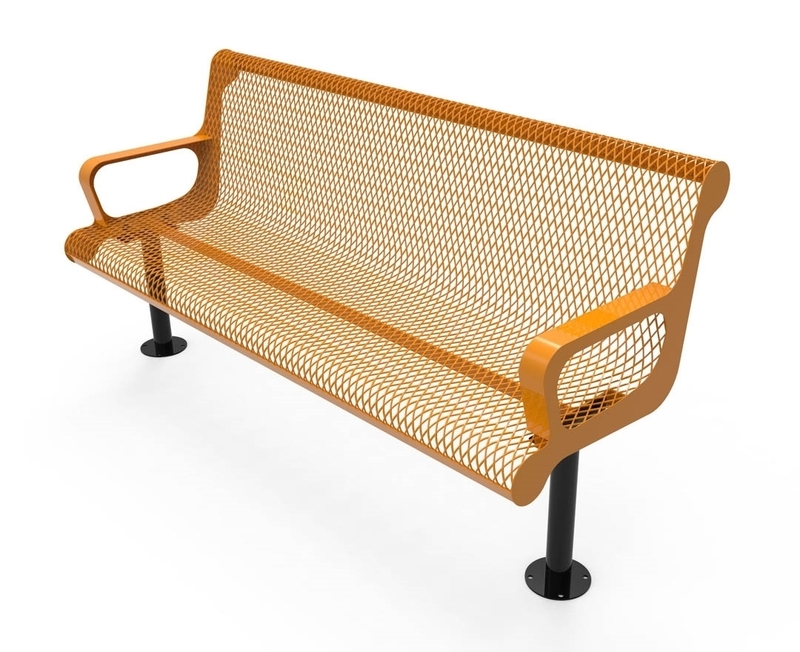 Contour benches are popular in parks, schools, and residential communities. 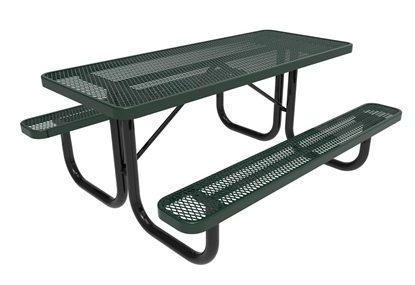 • 6 ft. Rectangular length with contoured back.